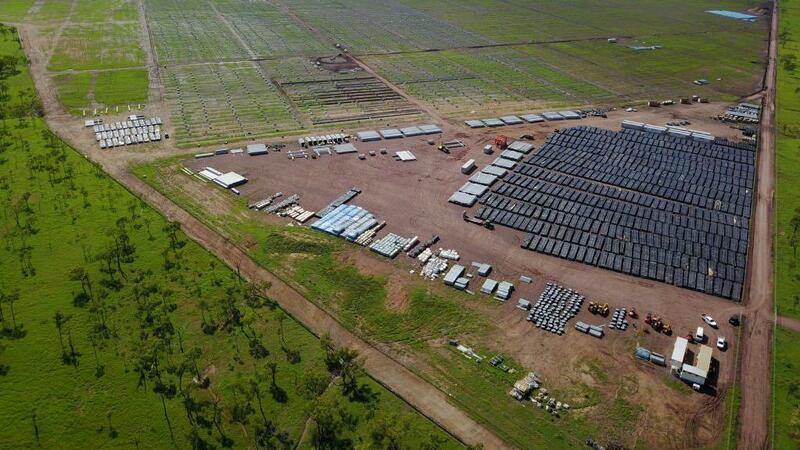 Australian solar contracting company RCR Tomlinson has taken a $57m write down on the Daydream solar farm and the Hayman solar farm, which are owned by Edify Energy and to be installed in North Queensland. We reported earlieir this year on the Hayman and Daydream solar farms and how First Solar will be handling the installation for Edify – at that time everything looked rosy but it appears that a couple of major factors have led to cost and time delays. Edify have cited “external” delays, bad weather, and local issues like poor ground quality. Also being blamed are the increasingly stricter requirements being imposed by the Australian Energy Market Operator which are affecting solar farms Australia-wide. As of last year, RCR have over half a Gigawatt of large-scale solar projects in their order book and over a Gigawatt currently being developed or progressed under early contractor involvement processes, according RCR Managing Director & CEO, Dr Paul Dalgleish (who has since left RCR). As a result of the writedown RCR are now attempting to raise $100m from investors and have had to offer a significant discount on RCR shares on a one-for-1.65 basis at $1 each. This represents a ~65% discount on the stock’s last trade price ($2.80). According to RenewEconomy, Tomlinson has written down $57 million on the $315 million contract values for both the 150MW Daydream and the 50MW Hayman solar farms owned by Edify Energy. They’re both located in North Queensland and both nearing completion. “These project-specific issues required the Company to continuously revise its execution methodologies to mitigate delays, leading to increases in subcontractor costs (both people and plant) and logistics cost overruns. Some bad news for solar farms in Australia but we have no doubt that these projects will end up completed and can start making their investments back. We’ll be watching closely how the AEMO’s ongoing changes to legislation affects the many other solar farms currently in various stages of completion/operation.